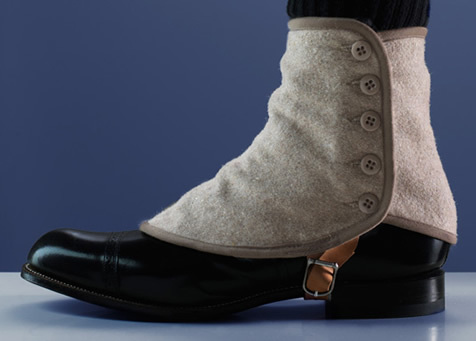 Made of beautiful Melton wool with a buckle and leather strap to go under the shoe. 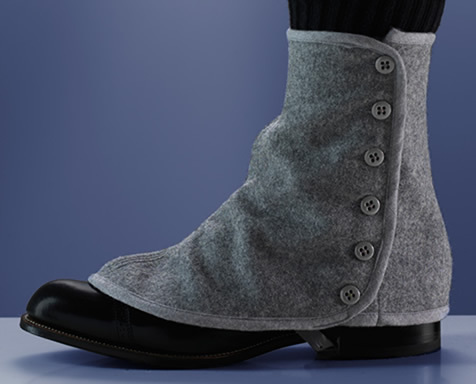 We will also gladly make our spats in leather. Please inquire about availability. Made of the same high quality materials as our 5-Button, the 6-Button is cut slightly higher and a bit roomier to go over a bulkier shoe or boot. 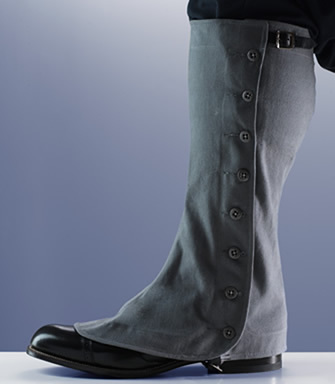 Cut to the top of the calf, our Gaiters can be made in Cotton Duck, Wool, or Leather with a buckle and leather strap to go under the shoe and another at the top for a snug fit.